Scissor lift hire – A scissor lift is a multipurpose powered-access machine that offers a secure platform for operators to work at a raised height – without the need to climb on any unstable ledges. Featuring guard rails and harness points, it is designed with safety in mind and remains a much safer alternative to the several different available ladders and access towers. Scissor lifts offer greater efficiency and can be easily maneuvered compared to the static access equipment. It is, however, large and expensive to own by an individual. Consequently, opting for scissor lift hire is always a cost-effective solution. And it makes sense for both short and long-term requirements. There are different sizes and shapes of scissor lifts for hire. 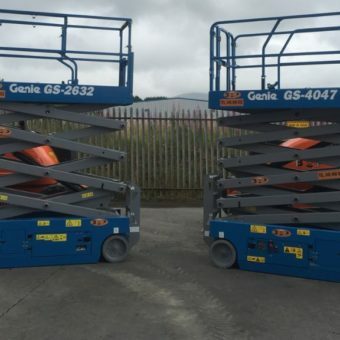 A reliable equipment hire company can help you decide on the type and size of scissor lift you need for your particular job or project. Scissor Lift Hire – Where can scissor lift be used? A Scissor lift can be used at many different job sites. It is suitable for work within a variety of industries, including factory racking, contract maintenance, stock picking, site installations, archive storage, warehouse management, and construction. The environment where you intend to use the lift – A storehouse with limited space will necessitate a scissor lift that fits down the aisle. Working outdoors, however, implies you can choose any model of any size depending on your choice. Platform size – the platform of a scissor lift is what you stand on to be lifted into the air. While some can be used by one worker, there are other scissors lifts that can carry at least two workers at a go. You need to check the number of workers that are likely to use the tool altogether. Tyres – You need to check the type of tires fitted on the scissor lift. For a factory or storehouse, the non-marking tyres are your best choice as they will leave no marks on your floor or surface. For outdoors, consider four-wheel drive tyres as they are able to grip firmly. 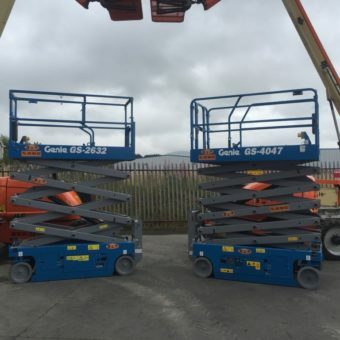 When you hire a scissor lift, you will need to get the right safety tools, such as a helmet and the latest training to be able to use it safely and legally. Even though scissor lift is a safer option to towers and ladders, any situation that warrants an operator to work at an extreme height poses a risk. Thus, safety measures must be taken to keep all users safe. For any safely and scissor lift training, contact the team, we provide both onsite and offsite scissor lift training. For all your boom, platform and scissor lift hire requirements contact….Boom and Platform Hire. So, if you need a reliable cherry picker or any piece of plant hire equipment in our catalogue, don’t hesitate to contact us and let us know how we can be of service. We are prompt and time and money-effective, so we are certain that we won’t let you down. Email or call the team in Dublin or Cork on: 045 900 932 or 021 463 5600.